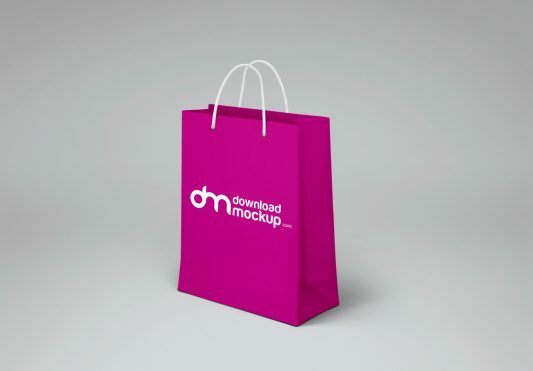 Download Shopping Paper Bag Design Mockup Free PSD. This is a new Shopping paper bag PSD mockup to display your branding and packaging designs and showcase your merchandising brand identity designs with ease. Change the handle and bag color to your liking and add your own graphics within the smart layer. You can also add your own background or change the background color easily. A Great Shopping Paper Bag Mockup Free PSD to showcase your packaging branding in realistic appearance and will elevate a trendy look to the paper bag. Download Office Items Branding Mockup Free PSD. 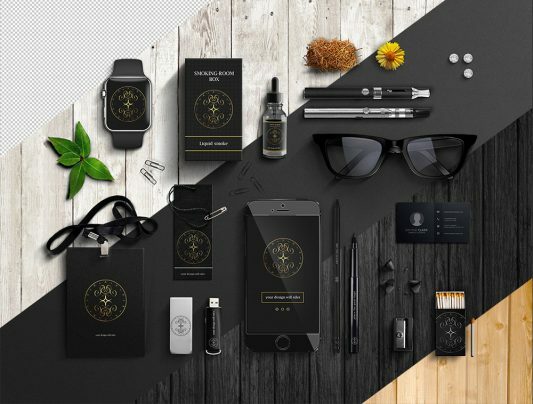 This Corporate Branding Mockup Free PSD contains a large amount of mockups which can be used to showcase different product brands. You can use each element individually or together forming custom scene. In order to add your design, you just have to replace the smart object. Also you can change the background to fit your need. 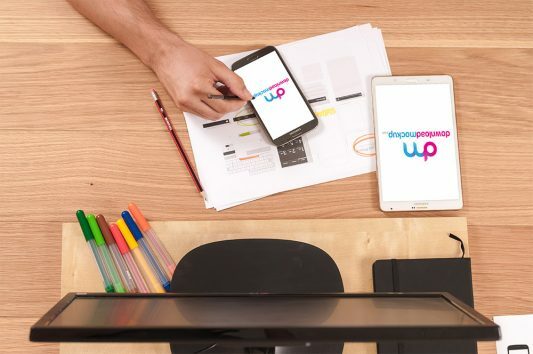 Hope you like this Office Items Branding Mockup Free PSD. Enjoy! 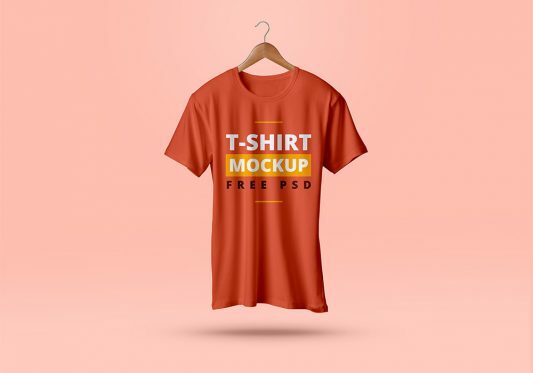 Download Realistic Hanging T-Shirt Mockup Free PSD. This is a realistic fully editable T-shirt mockup for T-shirt design makers. This realistic PSD mockup allows you to showcase your t-shirt designs with ease. Use the smart-object layer to drag and drop your design. You can even customize the t-shirt color and background color of the scene. Just download T-Shirt Mockup Free PSD and use it for showcasing your design or brand in style. Hope you like it. Enjoy! 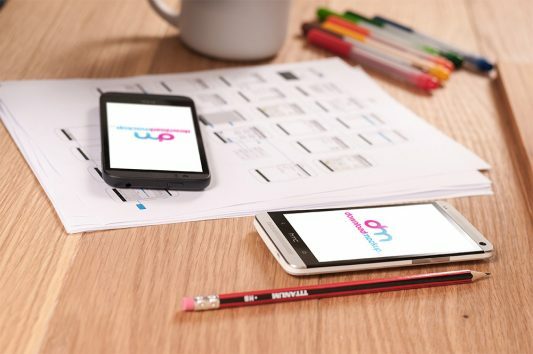 Download Mobile phone and Tablet Mockup Free PSD. A man using Samsung Galaxy S4 at work. Dell computer, Samsung Galaxy Tab, Windows Phone wireframe sketches and black notebook on the office table. High quality fully layered PSD mockup with smart objects. This photorealistic PSD mockup is fully editable and very easy to use – just place your design inside the smart objects and you’re done. Use this photorealistic, fully editable PSD Mockup resource to present your apps and web design projects in real photorealistic environment. it includes smart objects to make it easy to use. so Grab this beautifully designed Mobile phone and Tablet Mockup Free PSD and showcase your artwork in a professional way. Download HTC Phones Free PSD Mockup. HTC One & HTC Desire lying on the table with wireframes on the papers & pens. Mug on the background. Place your own designs on the screens via the smart objects and your work will be done in moments. It’s really cool. Use this photorealistic, fully editable PSD Mockup resource to present your apps and web design projects in real photorealistic environment. it includes smart objects to make it easy to use. 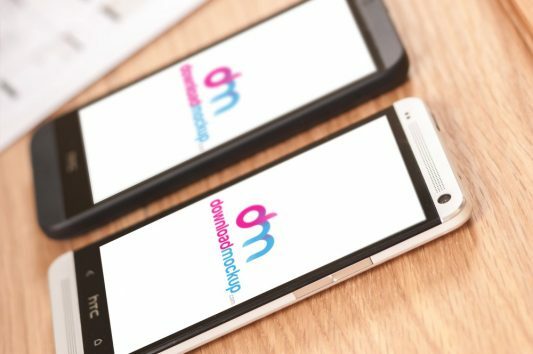 so Grab this beautifully designedHTC Phones Mockup Free PSD and showcase your artwork in a professional way. Download HTC Desire and HTC One free PSD mockup. HTC mobile perspective shot. Create a responsive preview of your website or project with this awesome HTC One & HTC desire free PSD mockup. 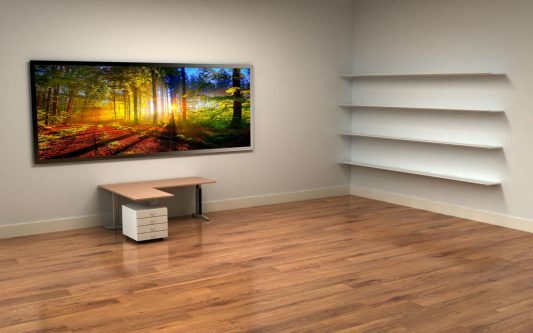 Place your own design on the screen via the smart objects and your work will be done in moments. It’s really cool. Use this photorealistic, fully editable PSD Mockup resource to present your apps and web design projects in real photorealistic environment. it includes smart objects to make it easy to use. so Grab this beautifully designed HTC Desire and HTC One free PSD mockup and showcase your artwork in a professional way. Download Samsung Galaxy S4 Free PSD Mockup. Samsung Galaxy S4 lying on the table with pen and wireframes sketches. To have your design displayed on the brand new Samusng mobile, just add your screenshot to the smart object and you’re good to go in a matter of minutes. Use this photorealistic, fully editable PSD Mockup resource to present your apps and web design projects in real photorealistic environment. it includes smart objects to make it easy to use. so Grab this beautifully designed Samsung Galaxy S4 Free PSD Mockup and showcase your artwork in a professional way.